Tartine et Chocolat offers a program that exposes each child to enriching experiences, thanks to a diverse range of activities. Our program includes both free play activities and structured learning experiences. 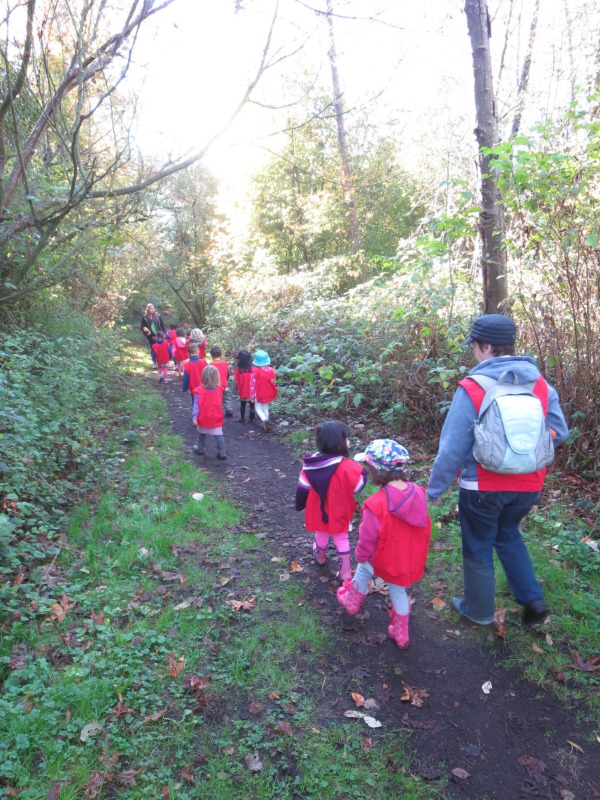 In our environment, children are encouraged to learn at their own pace and develop new skills. Tartine et Chocolat daycare provides a fun and challenging learning experience for your child's first stage of education. In addition to creating fun activities to prepare your child for reading, writing, and math, children develop their social skills and have ample opportunity to engage with others. The daily routines enable children to learn independence, personal hygiene, personal responsibility, emotional regulation, and positive conflict resolution. Personal growth and creativity will be enhanced through direct contact with music, art and drama. Children have many opportunities throughout the day to play outside in the playground and go on walks exploring the community outside the school. Our program takes place in an environment that promotes francophone culture and in which French is the only language spoken.
" At Tartine et Chocolat, we provide your child with a model of positive social values, which focuses on respect for self and others, on equal rights and opportunities for each member of our group, and acceptance of differences." The kids play outside rain or shine! The daily activities for 3-5 year olds at the daycare follow a routine and predictable sequence, so that the children can adapt, feel safe, become independent and develop a sense of control over their environment. However, the routines are flexible in time, and the activities are adapted based on the children's interests and their developmental stages. From solid to liquid - the children use their sense of touch, smell and sight to explore how the texture of cold jello changes when it warms-up beneath their hands. Here is a general overview of a typical day at Tartine et Chocolat. This schedule is just an example to give prospective parents a sense of the daily routine.